Texture, the digital magazine service that Apple acquired earlier this year, recently dropped its $14.99 Premium price point for existing subscribers. Texture Premium, which allows for access to both weekly and monthly magazines, is now priced at $9.99 for all customers, new and existing. The price change was shared in an email from Harry McCracken yesterday, and confirmed today by Texture. Texture is streamlining its pricing plans and opting to sell a single $9.99 plan instead of multiple plans. The price of Texture Premium for new customers was dropped to $9.99 some time ago, while existing customers had still been paying $14.99 per month. With the new pricing update this week, all Texture customers are now paying the lower cost for full access to all Texture content. Prior to the pricing change for Texture Premium, Texture charged $9.99 per month for access to monthly magazines, and $14.99 per month for access to both weekly and monthly magazines, but now there's just one plan. For customers who may have been paying less than $9.99 due to previous promotions, pricing has not changed, and they will still get access to Texture at the lower price point. 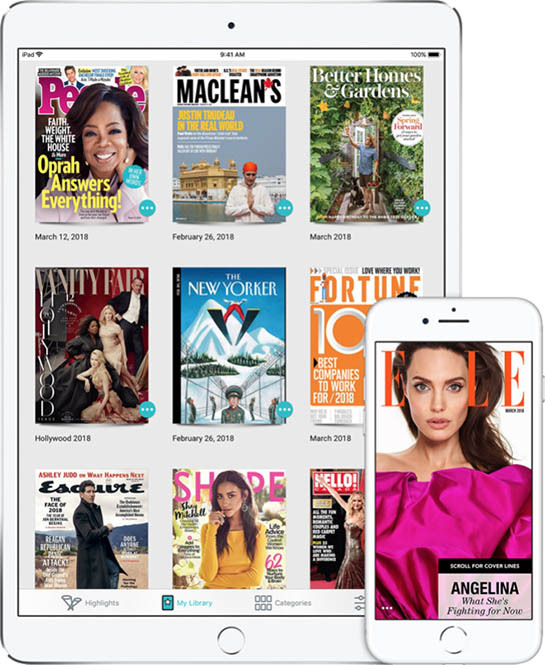 Texture provides unlimited access to more than 200 digital magazines, including titles like Vogue, Cosmopolitan, GQ, Rolling Stone, National Geographic, People, Wired, and more. Rumors have suggested that in the future, Texture will be bundled into an Apple subscription news service that will offer digital magazine content. Honestly, who uses subscription apps? I use Texture because when traveling I end up picking up a magazine or two at the airport which ends up costing $12. No longer doing that and cancelled subscriptions to a couple magazines that are included and I'm definitely not spending more money plus there's the added convenience of having all the content together. The digital magazine experience is often better than print because there is multimedia extensions of stories. I do but I'm selective. Owning something is not always the most frugal option. Not all investments are good values. That's why leasing is a popular option for luxury cars. I rent those things which I use daily but have a predictable lifecycle and are expensive to replace or upgrade (Adobe tools). Contrarily, I rent those things which I have only an occasional or one-off need for. I cancel my sub as soon as I'm satisfied and renew it if a need arises (Any entertainment service). One argument to owning music is when internet connectivity is poor or absent. How does one stream when there is no connection? How do you listen in an aircraft? I do understand that music can be downloaded too, but just giving one argument when internet connectivity is poor or absent. Well you just answered your own question. You can download the music, shows, etc... so that is not an issue to subscribing vs. owning. For a lot of apps it is unavoidable. Adobe, the CLZ apps (Movies, Books, etc. ), etc. One argument to owning music is when internet connectivity is poor or absent. How does one stream when there is no connection? In Texture for each magazine in your Library you have the option of automatically downloading the latest issue. With this feature on, and if you have opened texture before you lose the internet so it can do the downloads, everything is there. Entertainment weekly, with the music, movie, and tv reviews used to be over $100 a year. People, for those who need a celebrity fix, also was > $100. Texture now gives you 200 magazines at $120 a year, something like 1/2 the cost of what these 2 magazines alone used to cost. You also get back issues. Entertainment Weekly gives you access to issues dating back to January 2012. Bon Appetit, where older issues might be more useful, goes back to March 2012. The only wish item I have for texture is if it had a search tool that allowed searching across all magazines and years. Maybe Apple will fix that. Who does not? Netflix and Apple Music are the essentials. I don’t see a point in owning music since one album costs the same as monthly subscription. The same goes for movie. I would gladly use such a service for magazines if it would be available in my country. I have subscribed to multiple magazines for price way over 10 dolars. I prefer services like Texture because I 'think' it's better for the environment. I never have really referenced back issues on magazines in the past and I found having a lot of bookcases filled with magazines to be a waste of space that at some point will end up in the landfill. I had Apple Music in the past, and now Spotify. In both cases there are a lot of Playlists I have downloaded all the time. This really doesn't take a lot of planning unless you are someone that is midway through a 10 hour flight and absolutely have to listen to that song from 10 years back or something. I moved to streaming because my kids always wanted to listen to the latest songs and it was costing a fortune. Now everyone has whatever they want which is way cheaper. While I agree that it’s a silly argument in general as everyone has an option that works best for them, but to be fair you can just turn on automatic downloads for Apple Music and everything added to your library will be downloaded in the background up to whatever max storage you select—no planning required. So that particular point is moot.